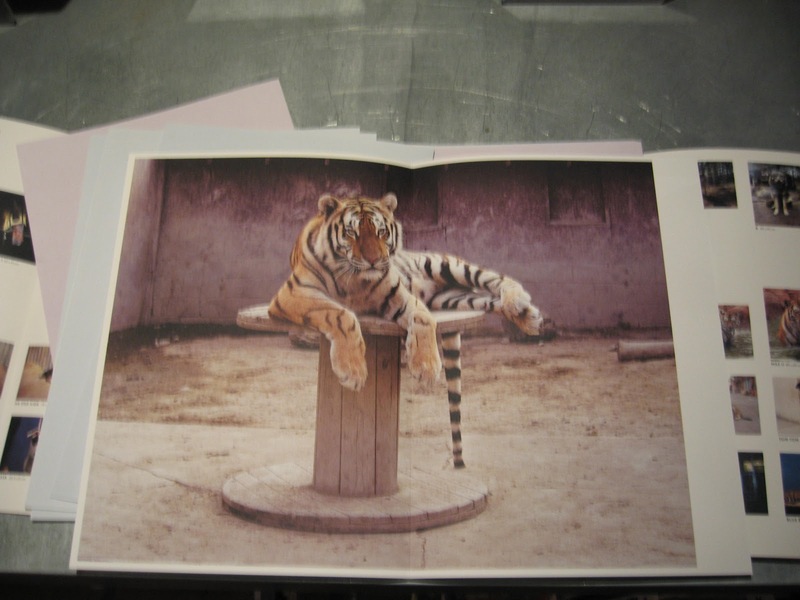 The animal portraiture is a popular genre in contemporary photography. 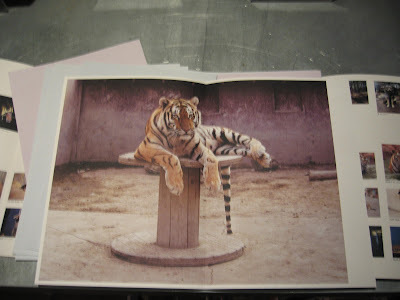 Many of the photographers who chose to photograph animals (and people in general) attempt to anthropomorphize the animal kingdom applying our emotions and expressions to these beings. 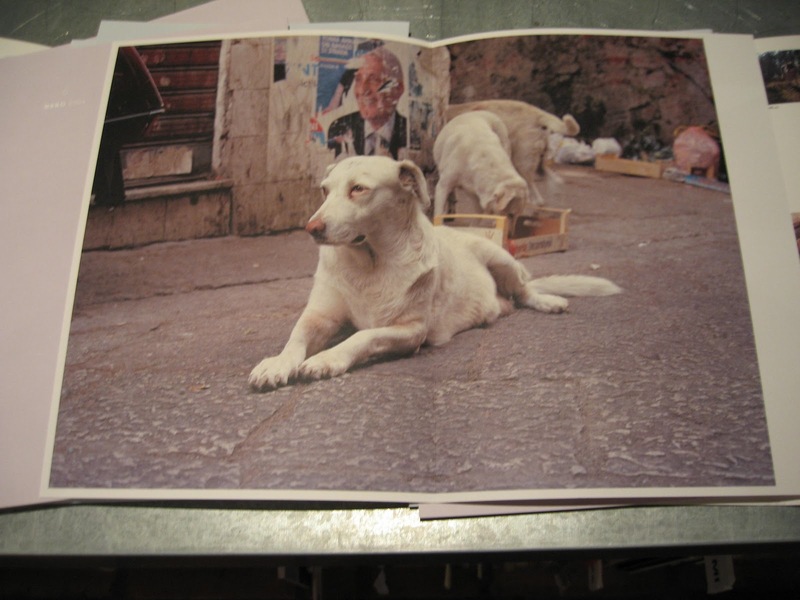 This type of portraiture creates an empathetic relationship with the subject of the portrait. 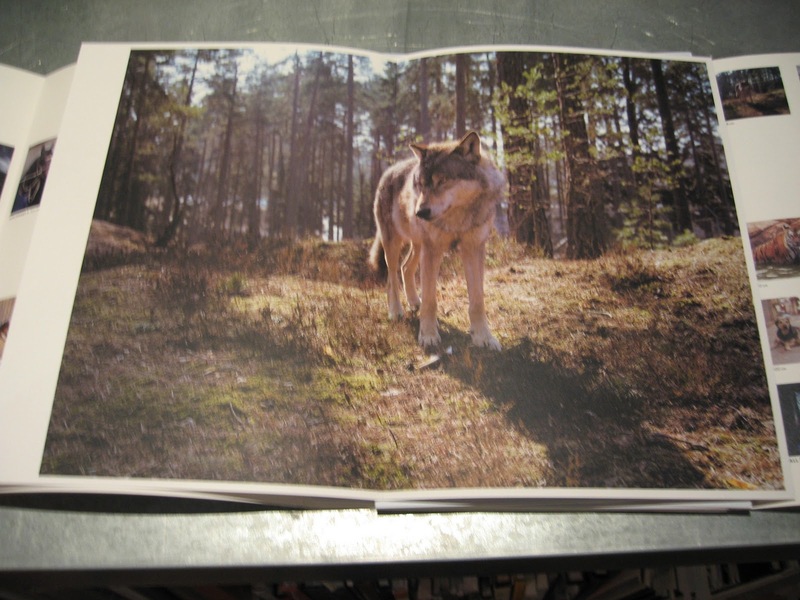 Artists like James Mollison in James and Other Apes and Nick Brandt in On This Earth and A Shadow Falls (and the deluxe book sharing both titles), have successfully translated this field of photography into the book format. 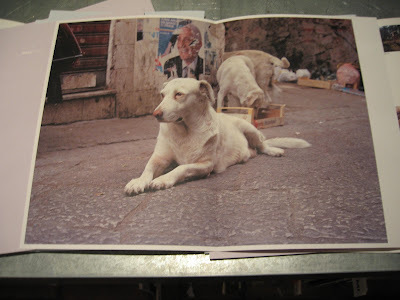 Charlotte Dumas' previous book Heart-Shaped Hole first introduced me to her two-year project on the stray dogs of Palermo, Italy. 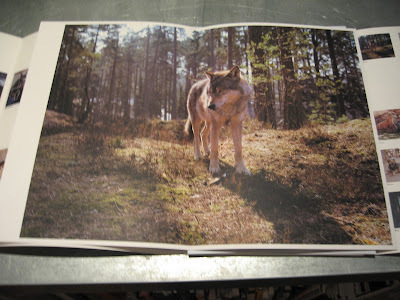 This new book does include some images from this project, but expands into other quadrupedal beasts. 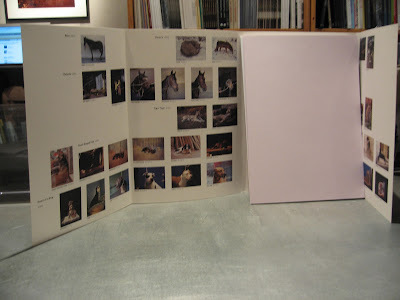 Whatever these animals are experiencing, feeling or thinking in relation to the photographer, the description of the book suggest that these animals appear regally, but not in indifference, but as in judgment of the photographer and later the viewer. 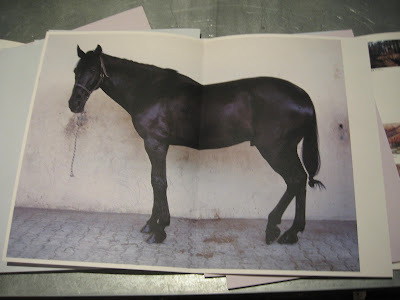 That may be our assumption, but nonetheless the portraits of the animals are outstanding in their simplicity. 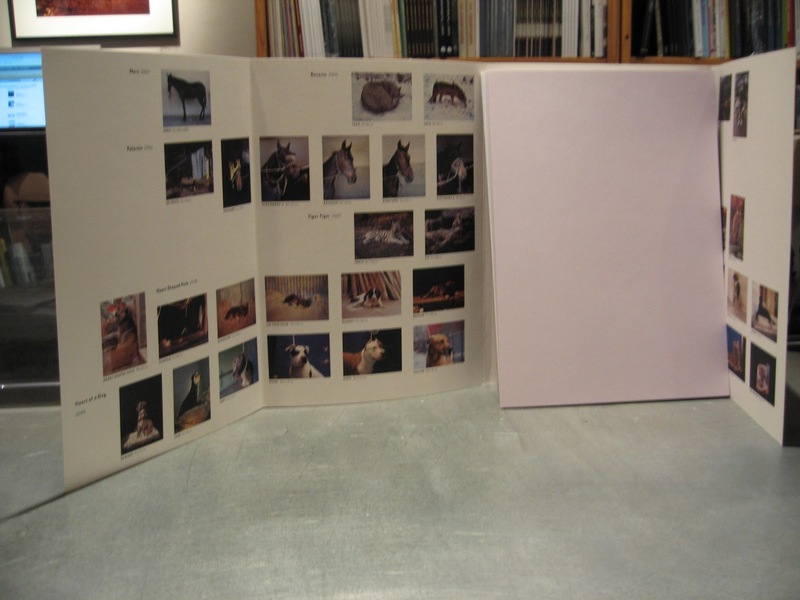 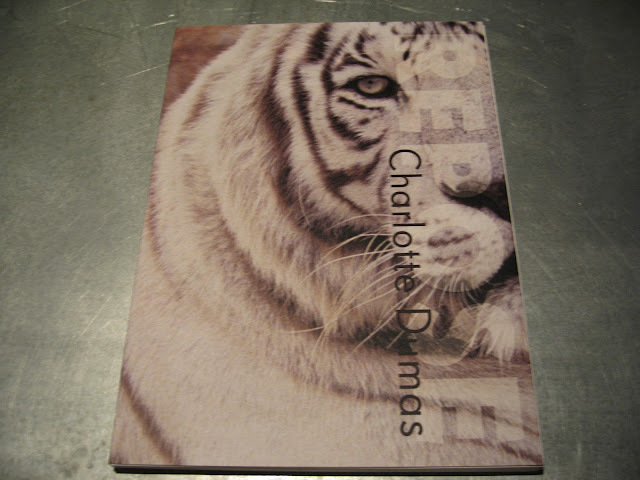 The book has a heavy card cover wrapping around folios each displaying an image of one animal -- framable and viewable without the intrusion of the gutter of a bound book.